Madrid Mod had the most liked content! · New units: - AP-21: "Apeos" of the 2nd Fire Station. - BF-21: Forestal engine of the 2nd Fire Station. - EL-21: Electrical unit with lights for night works of the 2nd Fire Station. - TG-21: Tank of water. One of the two tanks who have the 2nd Fire Station. - TG-22: Tank of water. The most big which is at the Madrid City Fire Department. It is at the 2nd Fire Station. Its similar than the original, but have the skin changed (it have the logo of a spanish television) Gretings. A lot of thanks to all. We are working hard to be able to do a great mod with which you could enjoy all. Improved unit. 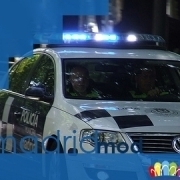 Special unit of traffic (UET) of the municipal police of the city of Madrid: * Old unit. * New unit. Municipal persons: * In the mod. * Patrol. * Special traffic units (UET). * Special units (GRI). Greetings!!! - New units: · Fire departament chief car: M1: · Fire departament ladders: ET-11: ET-21: · Unit of certificates and reports in traffic accidents of the municipal police of madrid: · Police agents of the municipal police of Madrid: Patrol, special traffic units, special units and special units with antidemostration wear. · Technician units. Madrid///movilidad: It is a public company, in charge of the maintenance of the systems of traffic (chambers, semaphores) and also they manage the municipal derrick. Van of repair semaphores. Municipal derrick. Área de obras: Public organism in charge of the maintenance and arrangement of the thoroughfares of the city. Van of the area de obras. In Madrid we not have this vehicle (Lamborghini Gallardo); this units are similar that the real ones. When i have time, i will put some images of the real units, if anyone want to compare with the real units. Greetings! • Police units: • Policía Nacional: This is the national police at big cities (in towns and countries, the police are the Guardia Civil). They have 21 police stations for districts (Madrid have 21 districts). In the map will be in the first version a police station. Patrol car. 4X4 Patrol car. Patrol car of major capacity. Camouflaged patrol. Geo units (like Swat, special units of Spain). Van of transport of arrested. Van of the canine unit. Van antidisturbances (UIP). Police helicopter. 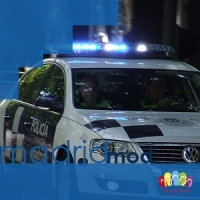 • Policía Municipal de Madrid: This is the police of the city of Madrid. They take charge of the safety in the neighborhoods and of the traffic. Patrol car. 4X4 Patrol car. Patrol car of major capacity. Patrol car of the special unit of traffic (M-30 road, special events and escorts). Van antidisturbances (GRI). Unit of support to investigation of accidents. The ford mondeo not of whom it is, but already I can say that it will not be in the mod, it is going to put on a vehicle similar to that of the reality. As for the helicopter I wait to know it soon. A greeting! Thanks for all. I will ask about it to the creator of the mod, the same that the other question of the ford mondeo, and I hope to answer you soon.